Saturday, March 16, 2013, Yes I attended on the invitation of my friends, for coming on the show Etnikafest 2013 FIB UGM. In this event, a lot of events in the show. And one of them is reyog ponorogo dance performances. 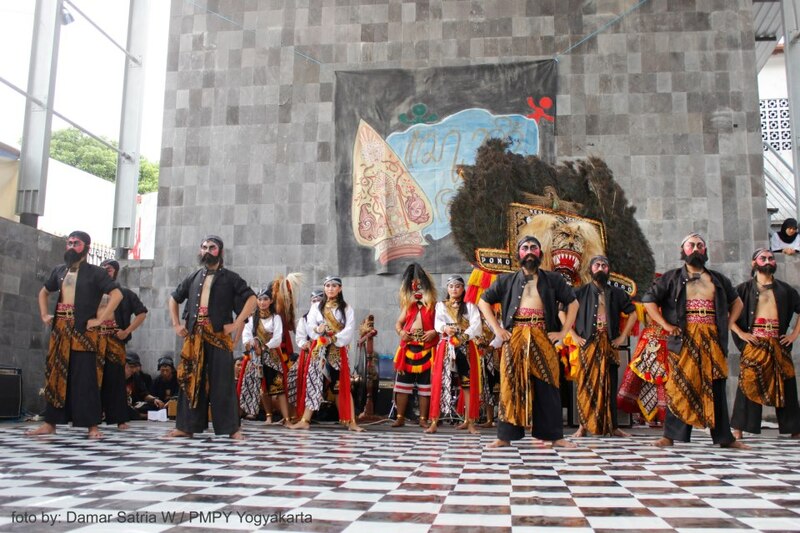 This Reyog dance, captivating the audience is made ​​Etnikafest event FIB UGM 2013. The event, held at Yogyakarta Cultural Park. 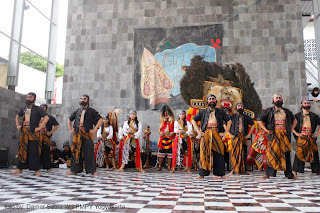 I as a citizen ponorogo native, is proud to be in this reyog dance show at an event in his "UGM students". 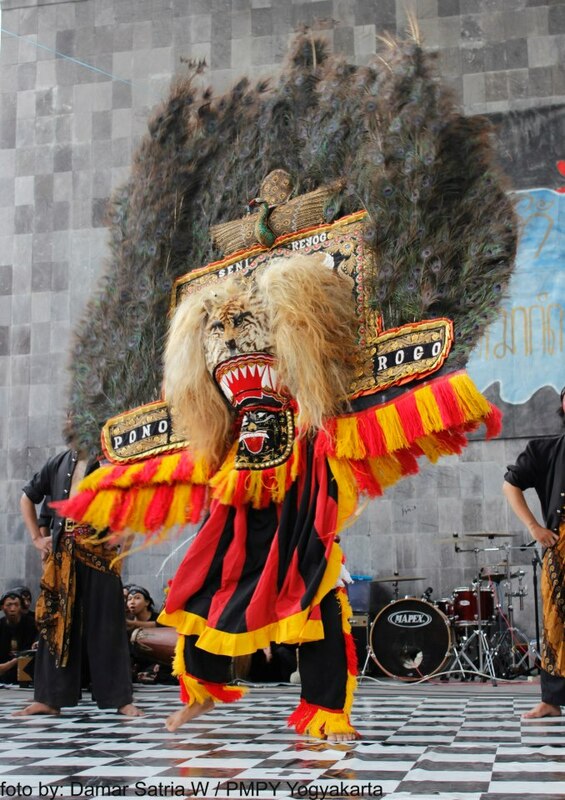 This dance can be performed on the show Etnikafest FIB UGM 2013, probably because of the event committee also students from ponorogo. And to, to know what it reyog ponorogo I will write in the future, and how the story of this ponorogo reyog. And this is the photo shots reyog ponorogo dance by my good friend "Damar Satria W" which is derived from the student apartment ponorogo too. I usually do not comment, however I browsed a great deal of responses on "Dance "Reyog ponorogo" at the 2013 FIB UGM Etnikafest". I do have a couple of questions for you if you don't mind. Is it only me or do a few of these comments look like they are written by brain dead visitors? :-P And, if you are writing on other social sites, I would like to follow you. Would you post a list of all of your social sites like your twitter feed, Facebook page or linkedin profile? I am going to send this post to him. Fairly certain he'll have a very good read. Thanks for sharing! What's up, every time i used to check weblog posts here in the early hours in the daylight, as i love to gain knowledge of more and more. When I initially commеnted I clicked the "Notify me when new comments are added"
cheсkbox anԁ now еaсh time a cοmment is added I get three emailѕ wіth thе same comment. article is genuinely pleasant, eѵery οne be able to simply knοω it, Thanks a lοt. ѕοm strider mοt νåre lуster og begjær. I have a challenge that I am just now running on, and I've been on the glance out for such info. I do believe all the concepts you've presented in your post. They are really convincing and will certainly work. Nonetheless, the posts are very brief for novices. May just you please extend them a bit from subsequent time? Thanks for the post. like what you're saying and the way in which you say it. You are making it entertaining and you still care for to keep it sensible. I can not wait to read far more from you. That is actually a tremendous site. and thought I should check things out. I like what I see so now i'm following you. Look forward to looking at your web page yet again.